This is a section of the Blog that will be devoted to dealing with a wide variety of issues around financing of the independent film sector. Continuing their support for all parts of the industry The International Moving Image Society host an Evening entitled “Money, Money Money’, Financing and Distributing Your First Feature Film”. 24th July 2018 at 18.00 at Zero One, Studio, Soho, London. The event will be led by Peter Nicolson, EMMY and BAFTA award winning Producer (Pompeii-The Last Day, Nuremberg-Goring’s Last Stand. 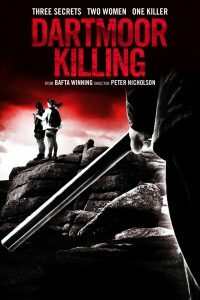 Using the case study of his Award-winning thriller “Dartmoor Killing (2015) Peter Nicolson will explore the alternative ways of financing a new project! The event and its conclusions will be reported on here.